Episode 6×11 “We Fall” — Cayden James (guest star Michael Emerson) ups the ante by launching his plan to take control of every aspect of the city. 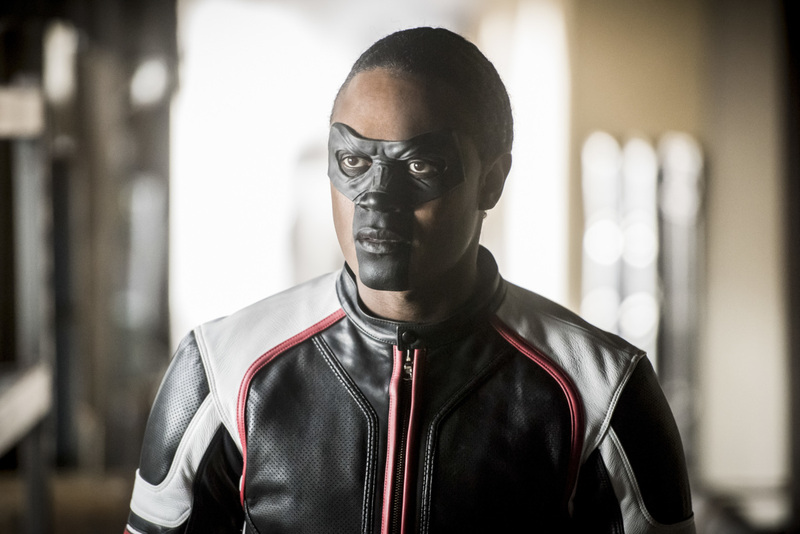 Despite the scope of Cayden’s plan, Oliver (Stephen Amell) is determined to foil it with just the Original Team Arrow – and without the aid of Rene (Rick Gonzalez), Dinah (Juliana Harkavy), or Curtis (Echo Kellum). But things get complicated when William (guest star Jack Moore) is endangered as a result of Cayden’s handiwork. Wendey Stanzler directed the episode written by Speed Weed & Spiro Skentzos. Air Date: Thursday, January 25 (9:00-10:00 p.m. ET) on the CW. Arrow -- "We Fall" -- Image Number: AR611a_0007.jpg -- Pictured: Echo Kellum as Curtis Holt/Mr. Terrific -- Photo: Dean Buscher/The CW -- ÃÂ© 2018 The CW Network, LLC. All Rights Reserved.